We often talk about freedom and even then we try to control others’ lives. 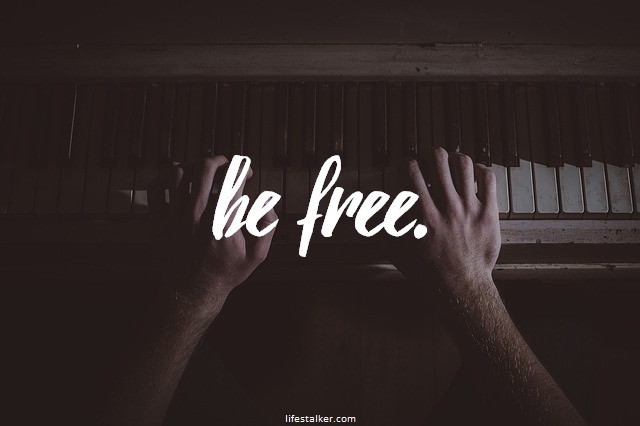 We often think freedom is in breaking the limits, and yet we feel strangled in our pasts. We often think our choices have nothing to do with others, yet we involve others in our so called master-plans. Why we never really feel free? Because freedom is not what you think. Freedom is not what you are searching for. In actuality, freedom is something within you. During my school days, when I used to play cricket, my cricket coach used to say that you are truly free in the time between ball released by the bowler and ball hits the bat. You cannot decide before ball being bowled and after ball being hit. It is the time between these two events, you are truly free. Though at that point time, it was a kind of bouncer for me. Maybe that’s why I am not playing professional cricket. But now I know what he means. He means the true freedom lies in between the action and reaction. It is not in the extremes. It is somewhere between those extremes. It is the knowledge of how things going to act and how you have to react. It is the knowledge of thyself. In simple terms, true freedom is the self-awareness. The awareness that you have a choice. The awareness that freedom is not in breaking the limits, it is in the pushing the limits. The awareness that others also have freedom. The awareness that in making other realize about their freedom, and through which, we can better ourselves and ultimately achieve our true freedom.